You can find inspiration in the simplest of everyday items if you know where to look. 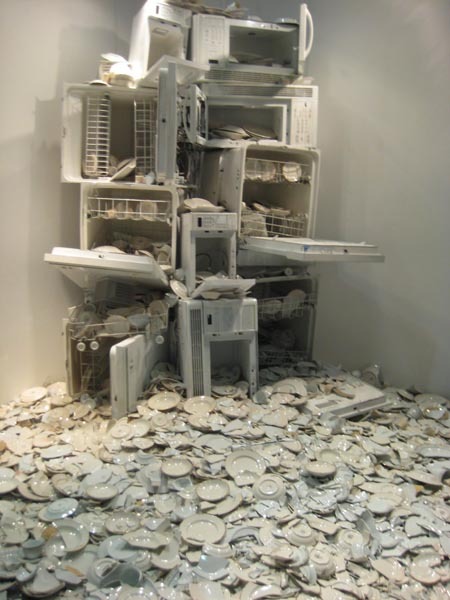 Photographs and sculptures of objects that we may take for granted because of their common appearance in our daily lives are especially impressive; simply because the artist has seen beauty where we normally may not take notice. In this collection we look at how various artists have taken some of these common items and transformed them into something greater. From kitchen utensils to trash to cars, let this roundup give you a fresh perspective on the normal items around you. 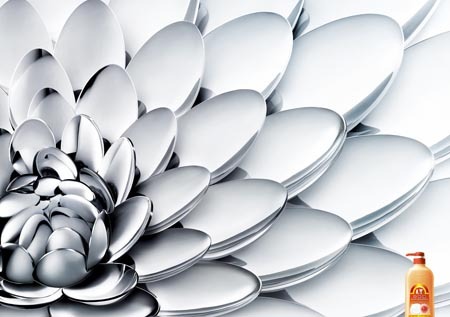 Created with spoons, this “metallic flower” is amazingly attractive. 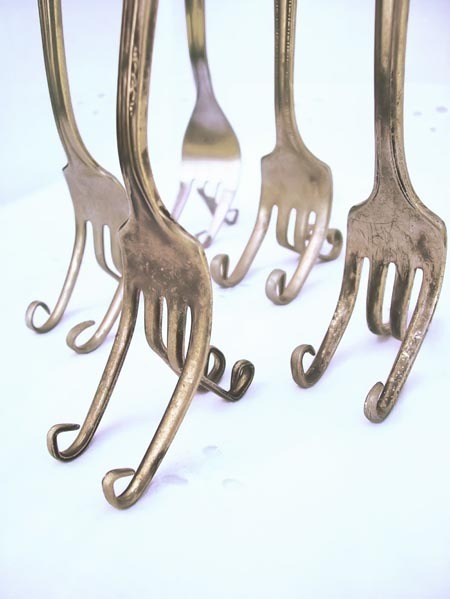 Who knew bent forks could be turned into a work of art? 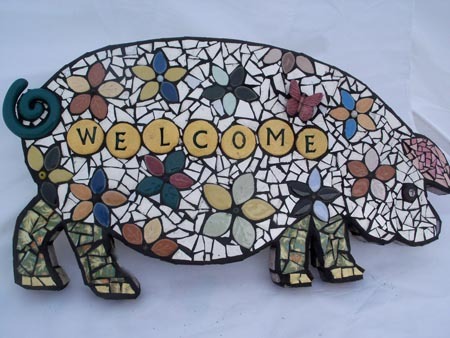 While not a completely new idea, this mosaic made of broken plates is quite unique in that it is in the shape and image of a pig. 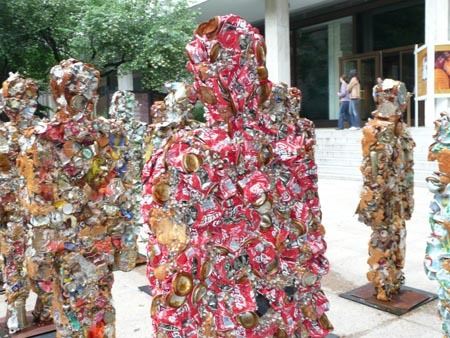 A new way to recycle beverage cans — smash them together to form shapes, such as silhouettes. Is this another way to say, “You are what you eat”? 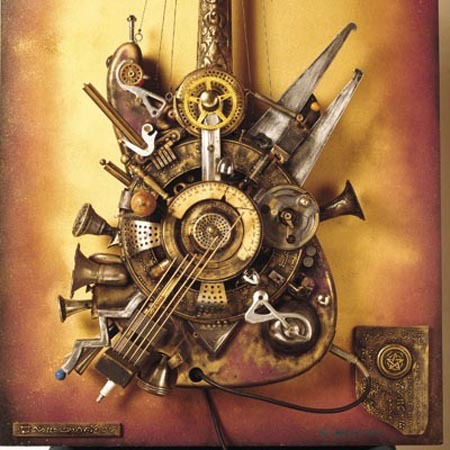 This guitar made of broken clocks is amazingly beautiful in its own way. Have you been wanting some lawn sculptures but don’t want to spend the cash? Try sculpting your trash into your own cute lawn decor. 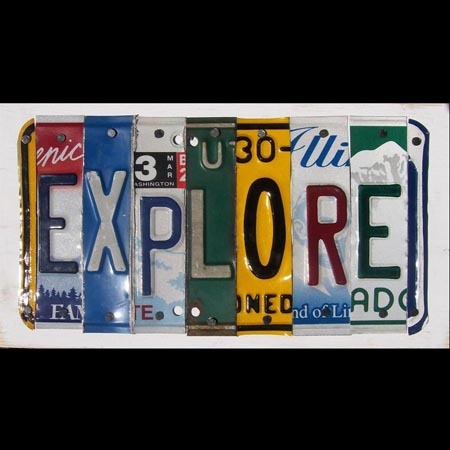 Who knew that old license plates could make such attractive wall hangings? 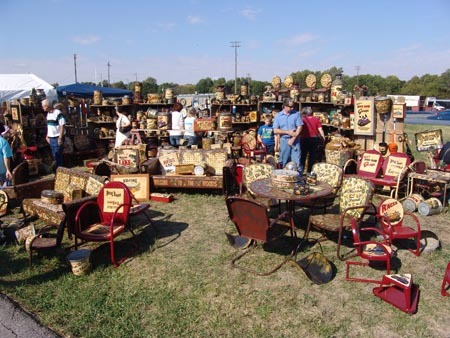 Painting over old metal lawn chairs, old buckets, and other items that others might normally throw in the trash is a fun way to make a profit. 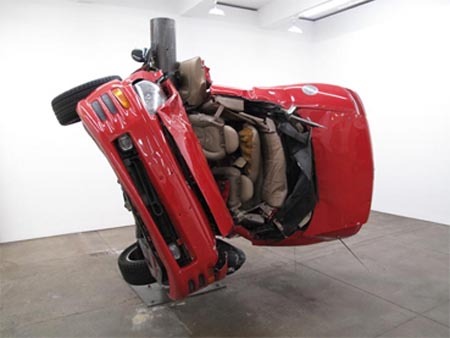 This demolished car is a part of the Saatchi Gallery located in London. 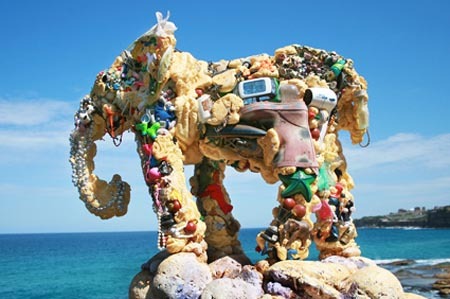 Check out the website for some more truly unique art, many of which are made from everyday objects.